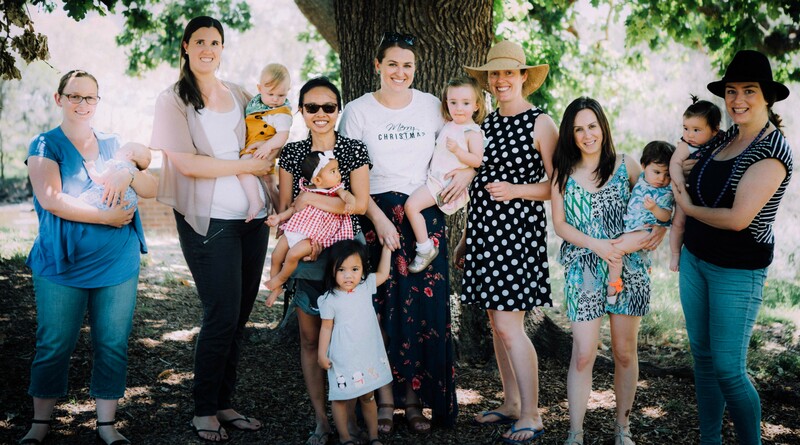 Mums who experienced Westmead Hospital’s caseload midwifery practice celebrated Christmas with our midwives at Parramatta Park. Westmead Hospital’s midwifery team has hosted its first ever Caseload Christmas party and it was a huge success! The team invited all mums who had birthed this year as part of the hospital’s Caseload Midwifery Practice. More than 100 people attended Parramatta Park to enjoy the celebrations, including husbands and bubs of course. Westmead Hospital’s Caseload Midwifery Practice promotes continuity of care by allowing a woman and midwife to develop a trusting professional relationship throughout her pregnancy, labour, birth and the postnatal period. The hospital’s Caseload Midwifery Practice consists of midwives who work together to help women experience a smooth and safe journey through pregnancy to parenthood with minimal medical intervention. Midwifery Unit Manager Carolyn Hilsabeck said her team was overwhelmed with the attendance at the Christmas party, demonstrating the community’s faith in the caseload program. “The strong attendance was a sign that we are certainly doing something right with our caseload service,” said Carolyn. “Many women said they experienced a ‘VIP’, ‘gold class experience’ with us. They also said they didn’t know that the relationship with a midwife could be so special. “There were many friendships made, with many women sharing their experiences, joy and even their struggles with sleepless nights. For more information and updates about the Caseload Midwifery Service click here. You can also follow their Facebook page. Mums, husbands and bubs attended the party at Parramatta Park.